The first book cube is a split between “Good Vibrations,” feel good fiction inspired by the Beach Boys, and “Killing Me Softly,” murder mysteries and thrillers inspired by Roberta Flack’s seminal hit. 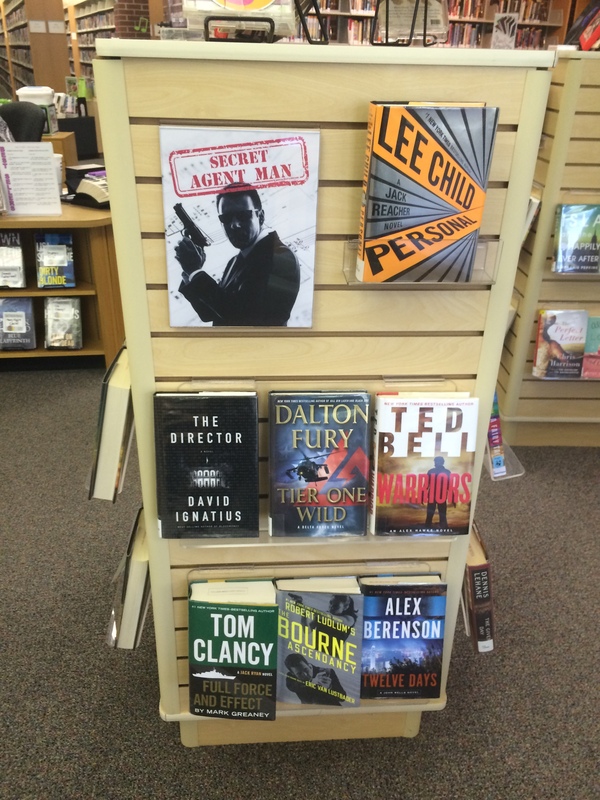 The second book cube is a split between “Family Affair,” selections of family sagas, and “Secret Agent Man,” spy novels and thrillers inspired by Johnny Rivers’ classic tune. 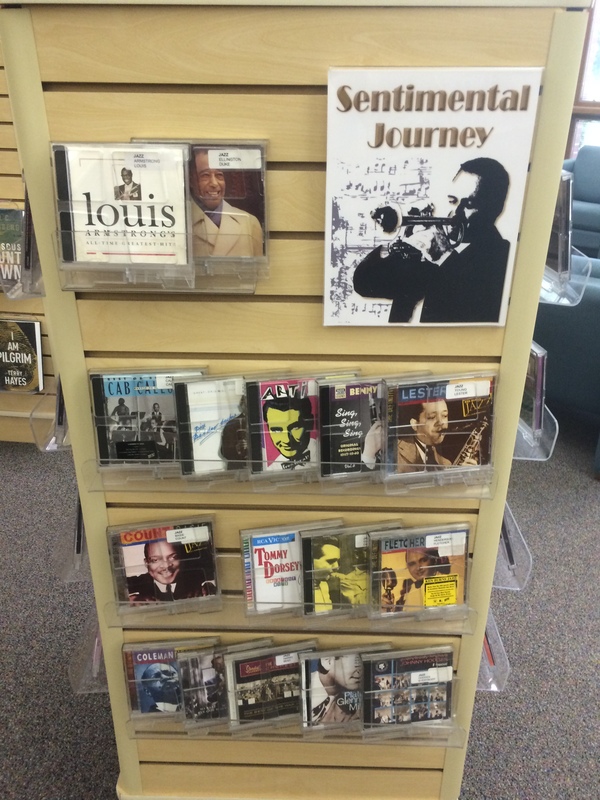 The music display is “Sentimental Journey”, a collection of Big Band hits that will transport you back to the 1940s. The movie display is “I’m Dreaming of a White Christmas,” a selection of Christmas movies to tie in with a giveaway in honor of Christmas in July. 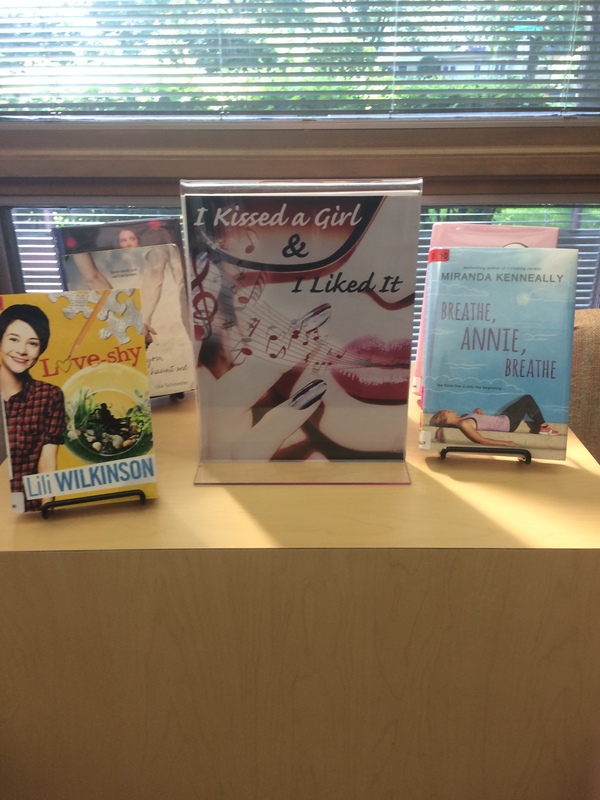 The teen display is “I Kissed a Girl and I Liked It,” romantic coming of age novels inspired by Katy Perry’s hit song.